Today is a big day for a website focused on sports and pop culture. Between the Elite Eight games, Hunger Games, 4OT games, and Draper games, the amount of material to write about on this last Monday of March is comical. But with a busted bracket, an unwillingness to pay 72 bucks to see a movie in Manhattan, a cable provider that refuses to show Hawks games, and a masochistic tendency to enjoy Twitter spoilers instead of watching a television show, I couldn’t care less about the previously mentioned events. Why? 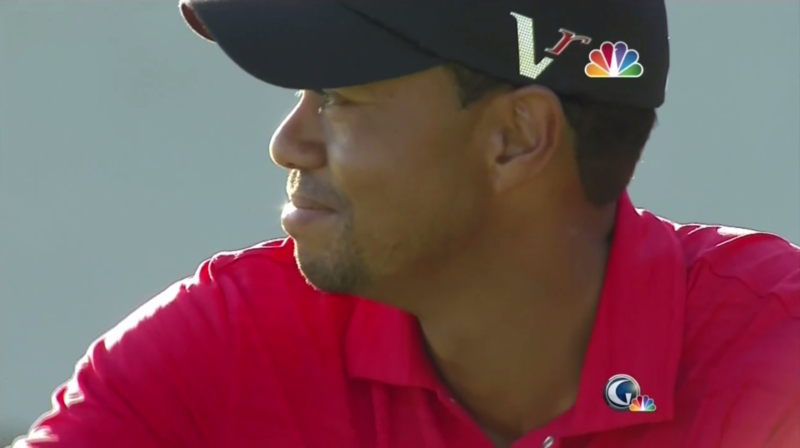 Because Tiger’s back. When a celebrity has a very public, arguably deserved fall from grace, I never know how I’m going to feel about that person post-incident. There’s Kobe Bryant, whom I disliked before he cheated on Vanessa, disliked after he cheated on Vanessa, and am weirdly starting to become obsessed with for the first time now that he’s been dumped by Vanessa. There’s Chris Brown, whom I used to love, pre-Rihannagate, but now with every chart-topping single, cocky public appearance, and ignorant tweet, I increasingly want him thrown in solitary confinement and made to listen to his own songs until he dissolves or evaporates. 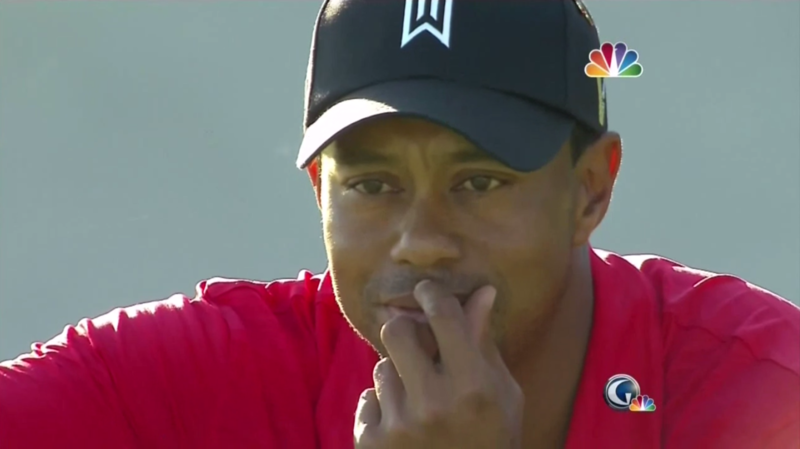 And then there’s Tiger Woods. 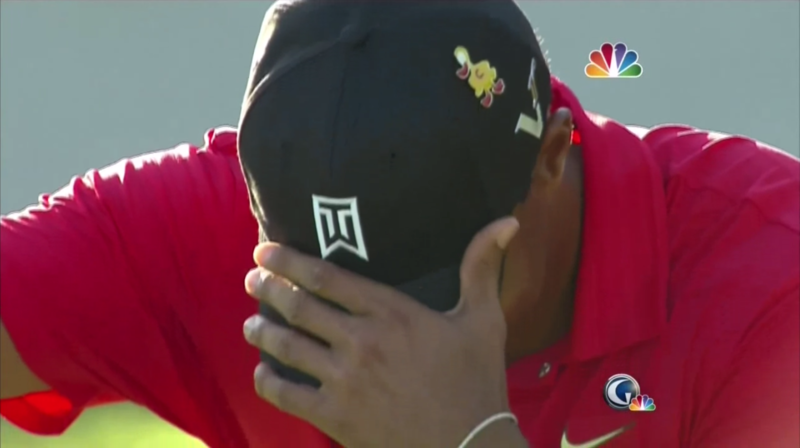 Yes, my once-strong feelings for Eldrick, the man, have slightly diminished over the past few years, but not once have I ever wanted Tiger to fail. Never. If anything, this drought from winning a tournament has intensified my desire to watch him become the greatest golfer of all time. But the question of my feelings for Tiger, the non-athlete, have remained up in the air. Watching him walk down the 18th at Bay Hill on Sunday afternoon, however, reminded me how invested I still am in Tiger, the human being. If you used his long, triumphant, relief-filled strut from the fairway to the green as a bathroom break, you missed one of the more tender, non-fist-pump emotional moments of his career, one that reminds you that while he brought all of this hardship on himself, it’s incomprehensible to imagine what he’s been going through. He has, understandably, been a complete head case for the past few years, but on the 18th at the Arnold Palmer Invitational, it was almost as if we watched as Tiger finally exorcised the demons. Hey, Rory, I hope it was fun while it lasted.